With all types of numbers flying around in the press, this is the latest update on the taxpayer loss of the Electrolux project. The table below references employment levels and Electrolux property taxes paid to determine the net taxpayer loss as of 2018 and projected loss through 2020 using these three data sources: Daily Memphian , Commercial Appeal and IDB/EDGE Documentation. Based on this latest analysis, current Memphis/Shelby taxpayer loss of the Electrolux project is $38M while excluding the cost of State of Tennessee incentives and scheduled to be $26M when Electrolux exits. Opportunities do exist to minimize the stated and scheduled losses below such as going back 2 years and collecting on taxes underpaid and based on new higher property value assessments as well taxes being paid on the property following the departure of Electrolux. Or even better a new employer for the facility. See below table and email jkent@pathtrek.net if you have questions. 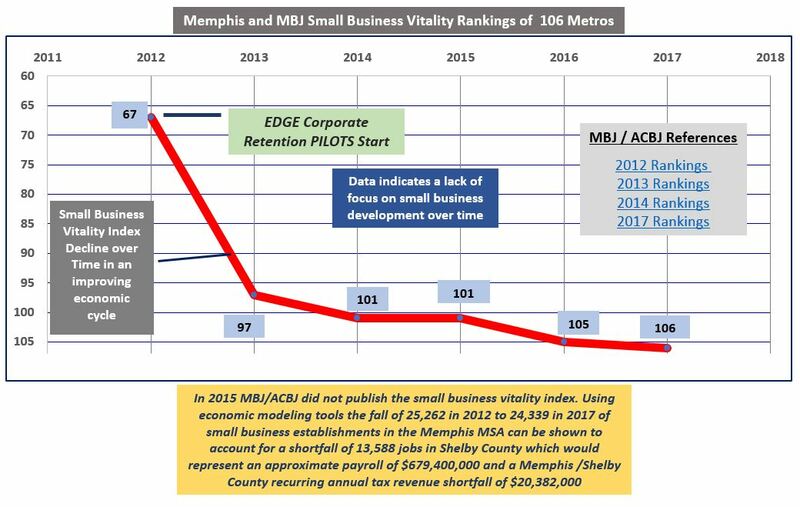 Based on an article in the Daily Memphian on 2/5/19 that rescored the Electrolux IDB PILOT for the number of years of PILOT, this blog used the numbers published in the article which is 530 jobs with increased wages and a capital investment of $321M up from $195M to refigure the cost to Memphis/Shelby taxpayers using this EDGE documentation for the Electrolux PILOT. The findings are that as of now, the cost to Memphis/Shelby taxpayers is $41M and by 2020 it will drop to $34M. The common take away from the Electrolux PILOT is that its just another of many one sided corporate/real estate deals laid upon the back of the taxpayer and a Memphis community in need. One sided corporate/real estate deals such as this result from culturally normed deficient corporate community leadership led by the FedEx/Memphis Tomorrow complex. The outputs of this culture prioritize corporate/real estate incentives for the benefit of the small few over true economic development that improves the social well being of people. The result of these policy pronouncements are deficient wage growth, stifled small business vitality and disconnected workforce development. 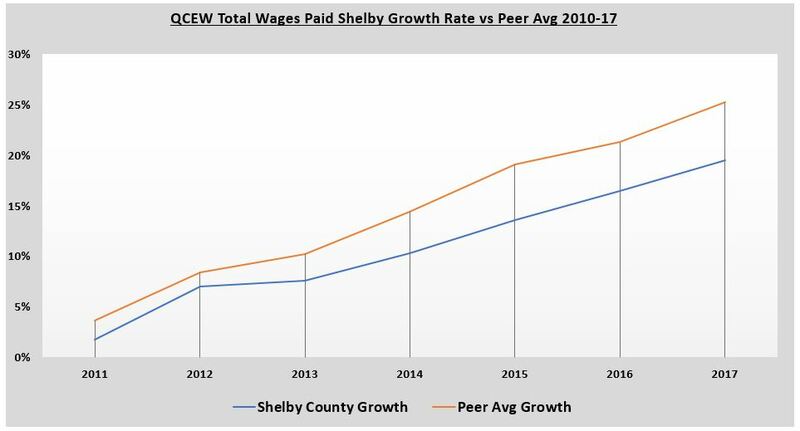 Disconnected workforce development has persisted in Memphis over 4 years as Memphis Corporate Community Leadership has obstructed course correction and service delivery for 60K learners. These deficiencies are bad for economic development and the overall business community. The following analysis was conducted using this EDGE documentation where based on EDGE comments, the Electrolux property was added new to the tax rolls. That in effect lessens the taxpayer cost from $100M by $38M to $62M from 2014 to 2020 based on reduced taxes paid and increased taxes to be paid in 2019 and 2020. The Memphis/Shelby taxpayer loss to date on the Electrolux project, assuming Electrolux reaches 60% of its projected employment goals, as of 2018 is estimated to be a $38M loss and by the end of 2020 the taxpayer loss is estimated to be $28M. This analysis does not consider State of Tennessee losses that were also part of the Electrolux incentive package. See analysis below. With a special focus on Memphis Tomorrow, MCCL Measured is the first ever and exclusive tool to attempt to measure the effectiveness of Memphis Corporate Community Leadership efforts that use taxpayer money. The site is designed to facilitate financial literacy education regarding taxpayer funded initiatives. Additional videos and resources can be found by browsing the entire site or at http://mcclmeasured.net/resources .